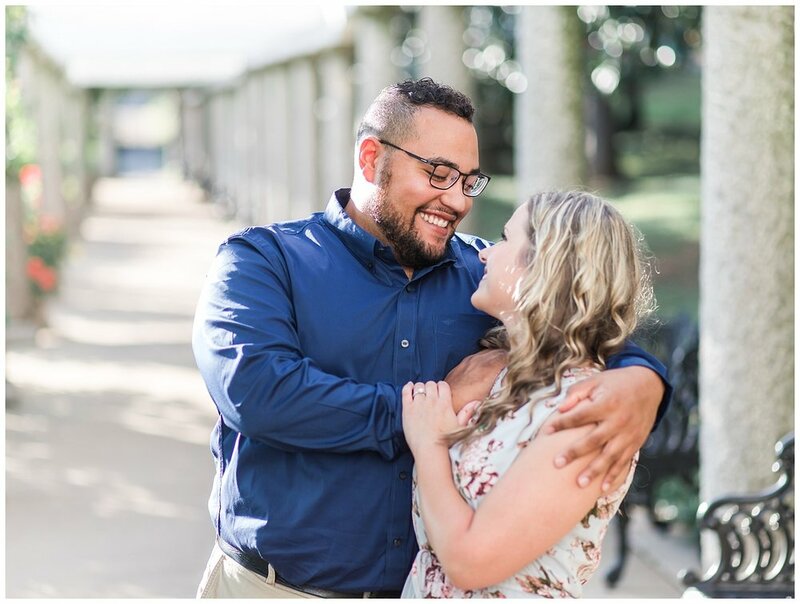 Marissa and Joshua met in college when she was studying to be a teacher and he was studying to be a geologist. 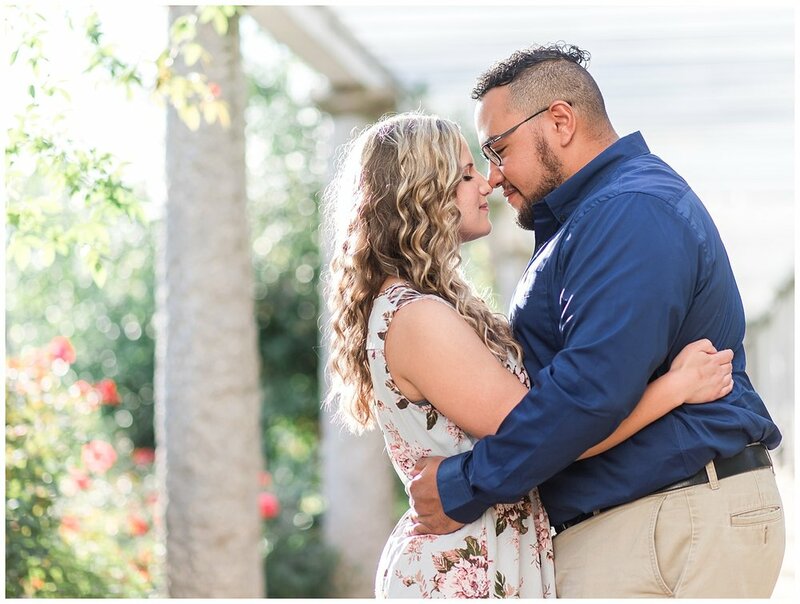 They were first introduced by our roommates and met on Halloween. 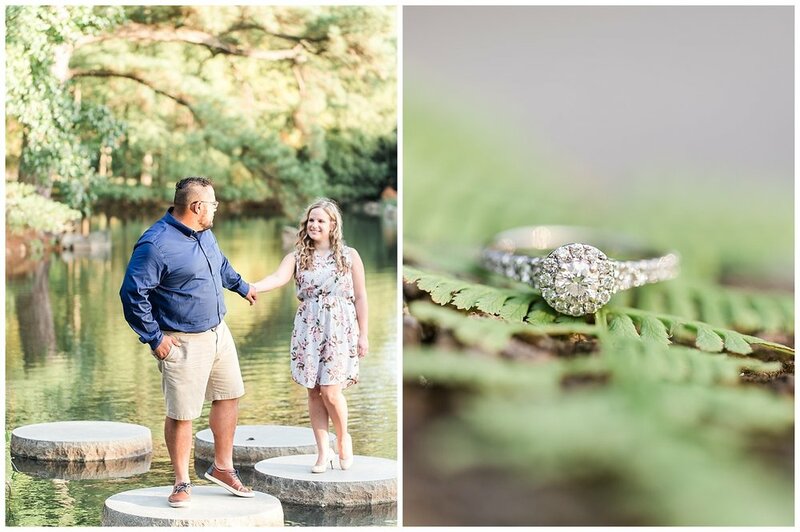 Joshua proposed at the Lewis Ginter Botanical Gardens. 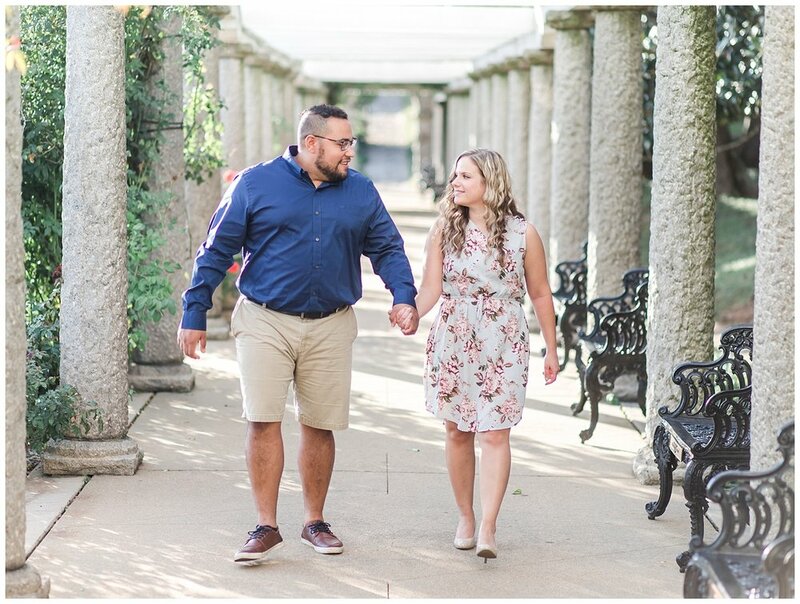 First, they went to visit the butterfly room, and then he asked her to marry him out on a pier over the water. 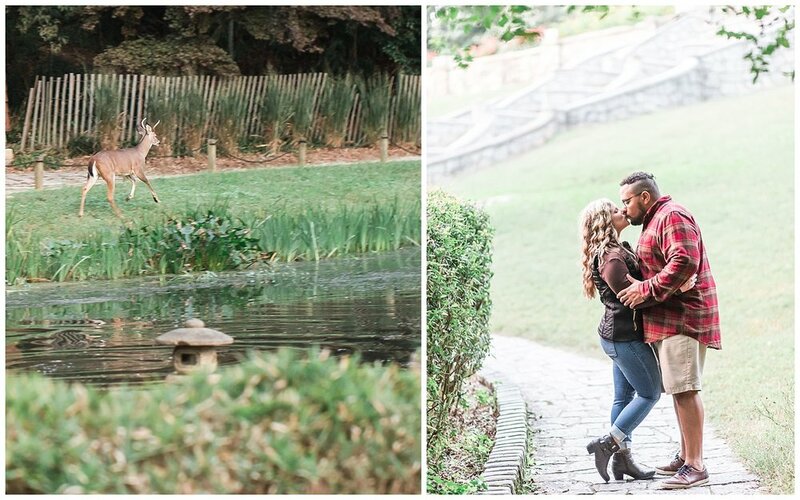 For their engagement session, they were back in the gardens and their day at Maymont Park in Richmond, VA couldn’t have been more beautiful! 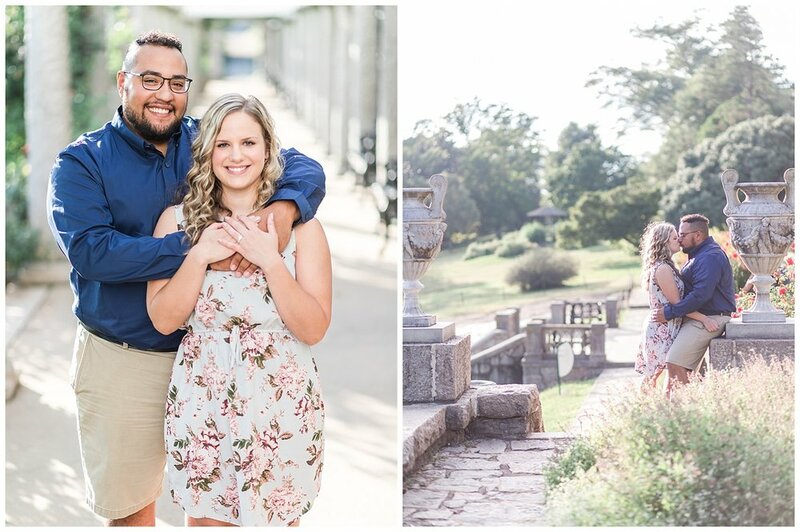 We started their fall session in the sunny Italian gardens and as the temperatures cooled, we headed down to the Japanese gardens in search of some fall leaves. 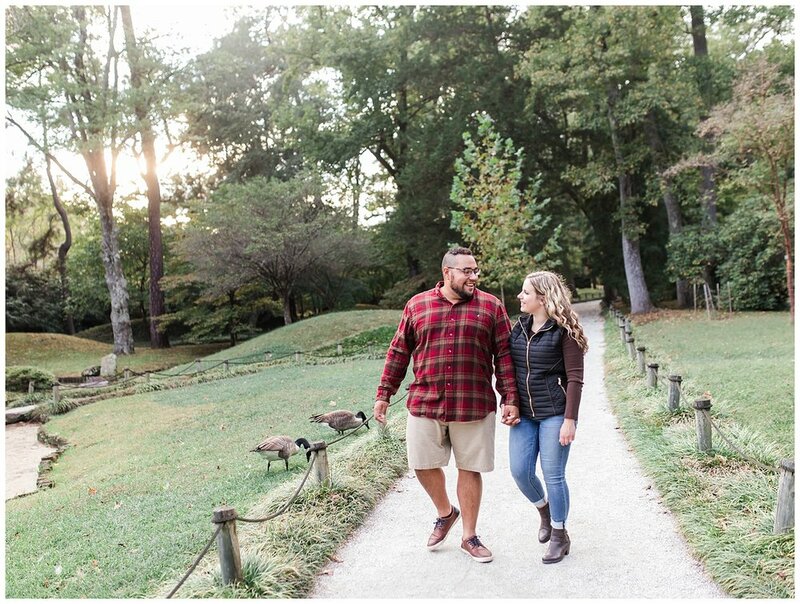 Joshua is a true outdoorsy type and was really excited when we saw deer down around the water! 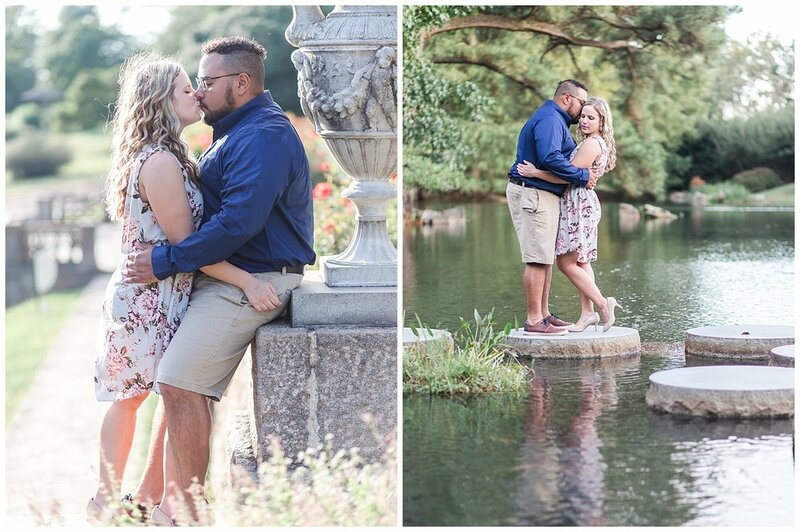 These two are naturals in front of the camera and we had the best time exploring the park on a beautiful fall day!